In which we delve deep into a legend, meet Alice Morse Earle, remember a smoky camp fire. After finishing the section on beeswax in The Chemistry and Technology of Waxes (which included information on the many different species of honeybees buzzing around the world, the variances and similarities of their waxes, and, as well, a mention of “Stingless Bee Wax,” the stingless bee being a wild bee belonging to the genus Melipona, which was pollinating the Americas long before the Europeans came along), I read about so many natural waxes coming from so many diverse living creatures, from the Chinese insect that gives us shellac to the mutton bird and the dandelion root, the mutton bird being somewhat of a special case as in its stomach lurks a liquid wax with “a ruby-red color and a not unpleasant fishy smell,” and yes, there are liquid waxes. Wax is everywhere. Did you know that mistletoe berries contain wax? It made me a trifle sad when I searched online for “mistletoe wax” and got link after link to products concocted from anything but mistletoe wax but that smell like mistletoe which smells like what, exactly? But now, quick, tell me: Why do cranberries shed water? Because their skin is covered with cranberry wax. Ever hear of a sugar-cane wax candle? Made in Natal, used mostly in Russian Orthodox churches before the Russian Revolution, which killed, as we know, religion and the Romanovs, and, apparently, the sugar-cane wax candle industry. According to Warth, sugar-cane candles burned “with a fine white flame like spermaceti.” We’ll take that on faith. Perhaps it is all the different species of Myrica inhabiting different parts of the world that allow its varying names and, to a certain extent, nature. For instance, you can read that the hue of bayberry wax is green, bluish grey, transparent, muddied brown; and you can read that its scent is strong, mild, spicy, like fir trees, like Christmas. I read that bayberry wax is too brittle to make a candle that stands on its own; then I read that a candle of bayberry wax burns longer, cleaner, brighter than any other. It all seemed to be quite contrary for just one wax from just one berry. The most troubling aspect of bayberry wax, though, may be the impostors introduced by none other than the candle industry, for it has turned bayberry wax and its many fine qualities into a manufactured thing known simply as “bayberry,” as in “a bayberry candle,” which can be any green candle of any type of wax containing any type of manufactured scent evoking the essence of bayberry. These candles are commonly thought of as Christmas candles and are marketed as such. 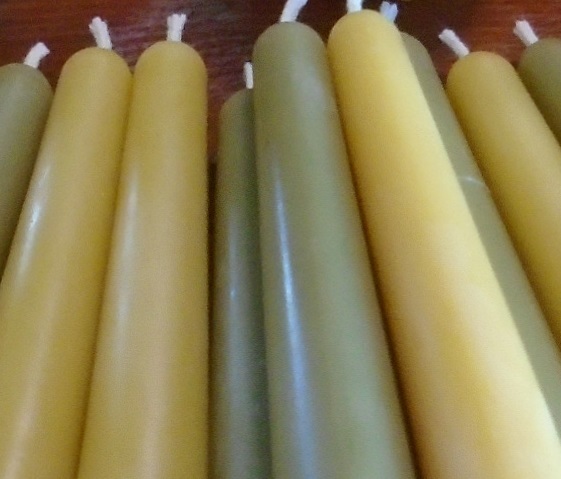 That these candles are not, however, made of bayberry wax, well, who cares? Who cares or even knows that bayberry is not just a made-up scent but a naturally occurring wax with an intrinsic scent and color commonly used in candlemaking in colonial New England? I did not know this. What I have come to learn, after my first season of making and selling bayberry wax candles at the farmers market, is that some people don’t think that candles made of bayberry wax smell like bayberry. I was once asked: What do they smell like? I said: They smell like what they are, bayberry wax. And then, after encouraging the inquisitor to sniff the candle closely, I was told: No, they don’t smell like bayberry. Sometimes I wonder: Is reality not reality if it’s not like Reality TV? To get back to the simple: Bayberry wax occurs naturally on the berries of various shrubby plants of the species Myrica, some of which grow in the United States, mostly in the South or along the Atlantic seaboard in sandy soil. To get at the wax, one gathers the myrtle’s berries in the fall, when they are ripe, and boils them in water. The wax separates and rises to the top. One can filter the liquid wax and/or boil again, it’s now just a matter of refining the wax. This process is pretty standard for extracting any naturally occurring wax from its host and cleaning it of the various things that are not wax. The next step is simply to make a candle of it by continued dipping of a wick or by pouring the wax into a mold. To deal with the brittleness of bayberry wax—for it is a wax that can easily splinter and break—mix in some beeswax. The resulting candle will be of one shade of green or another and the candle will smell like bayberry, whether you believe it or not. The bayberry wax I bought from a beekeeping supply company came from South America, which, as far as I have been able to determine, is where all bayberry wax comes from nowadays. When I bought the wax, it was Christmastime. Yes, during this phase of my journey into wax, it just happened to be Christmastime and Vermont Country Store catalogs were arriving every other day. In one, I noticed a pair of eight-inch tall “True Bayberry Candles.” Price: $25.95. The ad copy began: Back in colonial times, bayberry candles were traditionally burned to ensure good luck. And that is mostly what I had been finding online when I searched for “bayberry” or “bayberry wax” or “bayberry candles”—this association between bayberry candles, a colonial Christmas, and good luck. Of course the association with Christmas may have something to do with the greenish hue (even my old pal Warth, amid all the chemistry and technology, states that myrtle wax makes “decorative candles suited for Christmas and other festive occasions … They are referred to as bayberry candles … ”), but more so, it seems, it has to do with a belief that there is a bayberry candle tradition of good luck that originated nearly three centuries ago in colonial America. This tradition, or legend, as it is sometimes called, tells us that in colonial America times were tough. The only light came from candles made from tallow—animal fat—and tallow was messy and stunk and inevitably turned rancid. Then, lo and behold, the good pilgrims discovered bayberry shrubs surrounding them in abundance, and they picked the shrubs’ berries, boiled them for hours, and a wax was gleaned, a good wax, and it could be made into candles burning brighter, sweeter, cleaner, and far longer-lasting than any tallow candle, and the people were grateful. But, alas, it took so many berries and so many long hours of boiling to make so little wax that soon candles of bayberry became nothing more than a precious luxury to be used just once a year, at Christmastime, when the proper burning of just one bayberry candle could bring you luck all through the year, and this was so fine and true that they wrote a poem about it, and this poem has survived and it goes something like this. And so it became imperative for me to find the origin of this legend and this poem, and that is how I came to know Alice Morse Earle. Although Earle died more than 100 years ago, in 1911, she is the only person I found on the Internet who spoke sensibly and knowledgeably of bayberry wax candles. Earle was a historical researcher and writer focusing on colonial New England. In the 1890s and early 1900s she wrote several books and numerous articles on the subject, and, according to Susan Reynolds Williams in her 2013 book Alice Morse Earle and the Domestic History of Early America, Earle was and is yet regarded as “an authority on the material culture of the colonial home and family.” Using a wide range of primary source material from diaries and letters to bills and receipts, Earle wrote about the everyday life and everyday things of the ordinary people of colonial times. In addition, she had her own memories and family stories to pull from as she came from a long line of New Englanders—her family and that of her husband’s could both be traced back to pre-revolutionary America—and, it seems to me, if anyone were to know about a Colonial Bayberry Candle Tradition that came complete with poetry and a provision for year-long good luck, Earle would. As a prolific writer, of course she would have mentioned it in one of her books. Maybe once or twice. The fact that she did not tells me this “tradition” is just so much hooey. Williams writes of an incident that pitted Earle against Elizabeth Cady Stanton; at issue was the nature of a colonial Christmas. … after she had become an established authority on colonial life, Earle engaged in a rather public war with Elizabeth Cady Stanton, one of the leading figures in the suffrage movement, over an article Stanton had written about Christmas celebrations among the Pilgrims for St. Nicholas Magazine. According to Earle, Stanton had misrepresented her facts, and she wrote a letter to the editors to say so. 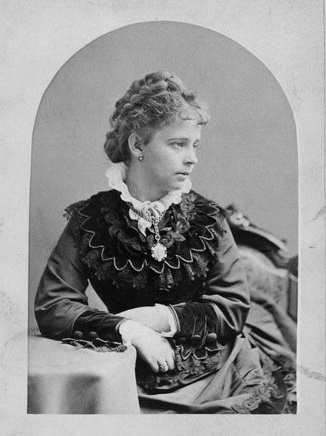 In their response to her, the editors assured Earle that they had already printed a note “explaining that Mrs. Stanton’s article is not to be taken as true,” but rather that Stanton herself had deemed it “half fact, half fiction.” Because of an editorial oversight, this had been omitted from the article. I thought that with any luck the spat might have had something to do with bayberry candles, but, it did not. So where did this little ditty about burning a bayberry candle down to its socket to put gold in your pocket come from? My guess is that Earle, inadvertently and now rolling over in her grave, had something to do with it. At the time that Earle was writing about colonial America, America was, according to Williams, developing a “passion for all things colonial.” She mentions a book, Mystic Chords of Memory, in which Michael Kammen writes that Earle’s books “did much to make the colonial revival a genuinely popular phenomena during the last years of the nineteenth and first decade of the twentieth centuries.” So I can easily imagine that one fine autumn somewhere around the beginning of the twentieth century there was a New England homemaker and candlemaker gathering in and boiling up the berries of the prolific myrtle shrubs surrounding her home, her town, the seashore, the entire countryside, and as she’s making all these bayberry candles she’s wondering if she could sell them, make a little Christmas money, Christmas now becoming such a “thing,” but how to market these beautiful but old-fashioned and unnecessary candles against the stiff competition of spermaceti and paraffin candles, oil lamps, gas lamps, electric lights? Perhaps this homemaker and candlemaker had read Earle’s books, was something of a savvy businesswoman, maybe a writer herself, a poet, even, and she saw the light. I bought my initial pound of bayberry wax online from a beekeeping supply company. It advertised the wax as being used to make “special Christmas tapers that are reputed to bring good luck for the New Year.” When the wax arrived in its white, red-trimmed Priority Mail box, it felt downright ceremonious. I slit open the box at the kitchen table, also known as my candlemaking table, and carefully removed a clear plastic bag containing chunks of dusty green wax. I cut the top off the plastic bag and breathed deep. Associations came. - just like that tea Amy used to bring me. Fifteen years ago, Amy and I were secretaries at a Big Ten university. She used to bring in this wonderful tea she got from a store in her neighborhood. We called it “the smoky campfire tea” in deference to my inability to ever remember its non-English name. The tea came in a little brown paper bag. Dry, it was a mat of leaves and twigs and bark and flowers and I don’t know what all, just dark brown and black, thick, spongy, organic. Steeping in my mug it was smoky brown, and to my workday it brought an aroma so wonderfully wild, like the whisper of a campfire surrounded by pines, that before I even took a sip I loved this tea. Now I was melting a chunk of bayberry wax in a Pyrex measuring cup set on a steel rack atop my woodstove. 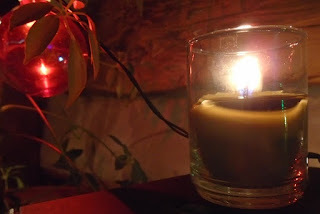 Soon I was able to pour the melted wax into a clear glass votive cup set with a wick, and once the wax hardened and cooled I lit my very first bayberry wax candle. The smell of Christmas hit like a bag of dusty old toys falling from the attic, and I realized that somewhere in my youth or childhood there must have been a bayberry candle or two. At Christmastime. Like most candles, the bayberry burned with a marvelous light. Unlike most candles, it released a clean woodsy scent. I’m tempted to say the flame was bright and rich—and again, clean—but perhaps I should restrain from hyperbole, or redundancy. After all, what candlelight isn’t lovely? Overall, the bayberry wax felt harder than beeswax. The chunks were dusty with bloom. (Its non-dusty color is a dark olive green.) The molded votives I eventually made from it felt smooth and just ever so slightly greasy, but the wax wanted to stay in the mold and slivers broke off, adhering to the mold. Eventually I learned to avoid this by mixing an equal part of beeswax with the bayberry wax. The bayberry color and scent dominates. One night I burned a pure bayberry wax votive and a beeswax votive in glass cups side by side. For aroma and light, it was a great combination, but the bayberry candle held more intrigue. Although lively, its flame was also steadier, more even. The top quarter-inch or so of the wax liquefied, due to bayberry’s lower melting point. Beeswax melts around 146 degrees Fahrenheit; bayberry wax at about 118. But, according to Warth, bayberry’s melting point rises as it ages. The example given was four-month-old wax with a melting point near 127 degrees. I haven’t read of this elsewhere. Warth points out that no other wax is known to have this quality, but it made me think of the question I have been asked occasionally about aged beeswax and doesn’t it burn better? But a higher melting point doesn’t necessarily translate to a better burn. Perhaps we make too much of these things. Still another oddity is this fact that technically bayberry wax is a tallow. For clarification (or perhaps muddification) I went to my old encyclopedia set, The New World Family Encyclopedia (1954). What is it, what nameless, inscrutable, unearthly thing is it; what cozening, hidden lord and master, and cruel, remorseless emperor commands me; that against all natural loving and longings, I so keep pushing, and crowding, and jamming myself on all the time; recklessly making me ready to do what in my own proper, natural heart, I durst not so much as dare? Is Ahab, Ahab?